If this is your first time to receive a massage, you may be wondering what will happen. Try not to eat a full meal within two hours of your massage. If you have time, a shower prior to your session may help you relax in advance. Be prepared to remove your watch and other jewelry. When you first arrive, the therapist will ask you to complete a Client Intake Form if you have not already done so. You can download this form and bring the completed form with you to your first appointment. After the therapist reviews your intake form, she will ask you some questions about the form or other pertinent health information so you can reach your goals for your massage session. This is also the time you can ask the therapist questions as well. The therapist will take you to the therapy room where she will instruct you that she is going leave the room so that you can undress to your own comfort level, and to get between the bottom and top sheet on the massage table. The therapist will knock on the door prior to entering to be sure you are ready. During the massage, the top sheet will remain on you at all times and the therapist will only uncover the part of the body on which she is working. This is referred to as “draping.” This is done to protect your comfort and privacy. If at any time the treatment is too uncomfortable for you, let the therapist know and she can adjust her technique accordingly. If you are too uncomfortable, she will let you decide if you wish to continue with the session and how you wish to proceed. After your massage, be sure to stay well hydrated by drinking plenty of water. Together, you and your therapist can work toward achieving your goals for this session and any future sessions. Sexual behavior by the client toward the therapist is always unethical and inappropriate. Such behavior will result in immediate termination of the session with payment due in full. 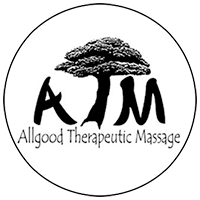 The massage/bodywork profession has a code of ethics and respects clients’ rights of confidentiality. Consent must always be given for any massage procedure.